Morgan was born on March 4, 1877, in Paris, Kentucky; he was the seventh of 11 children. He attended school only until the fifth grade, at which time he left home and moved to Cincinnati, Ohio. In Cincinnati he worked as a handyman until he moved to Cleveland and found work repairing sewing machines. Morgan was an excellent businessman, and he soon left his job and started his own sewing machine repair shop. He subsequently started his own tailor shop. When Morgan was not running his businesses, he was inventing. In 1901 he patented his first invention, a tonic for straightening hair. His keen business sense and experience allowed Morgan to market his own invention. His new business, Morgan Hair Refinishing Company, brought him great financial security, allowing him to devote more of his time to inventing new products. The most famous of those products were the gas mask and traffic light. Morgan filed to patent his “Safety Hood” in 1912. Despite endorsements and use by the Akron, Ohio, fire chief, this invention did not receive very wide recognition until 1916 when a tunnel that was being constructed under Lake Erie collapsed. As rescue workers attempted to save the men from the collapsed tunnel, they were overcome by a deadly gas. Morgan was called and asked to bring his masks. He wore his own invention as he descended 228 feet below the lake and rescued many workers. For this, Morgan was awarded a gold medal at the Second International Exposition of Safety and Sanitation. Soon the orders for the mask poured in. The gas mask was used by firefighters and soldiers. Morgan’s business and invention successes brought him great wealth. He is said to have been the first black man in Cleveland to own a car. This opportunity led to Morgan’s second famous invention, the traffic signal. He filed for a patent for this invention in 1922. Morgan remained in Cleveland until his death in 1963. Garrett Morgan’s inventions have increased public safety and saved many lives. His gas mask has saved the lives of many people, allowing firefighters to enter buildings full of deadly gases. His masks were also widely used to protect World War I soldiers from chlorine gas fumes used as weapons on the battlefield. In addition, the traffic light made the roadways safer as the number of automobiles grew. 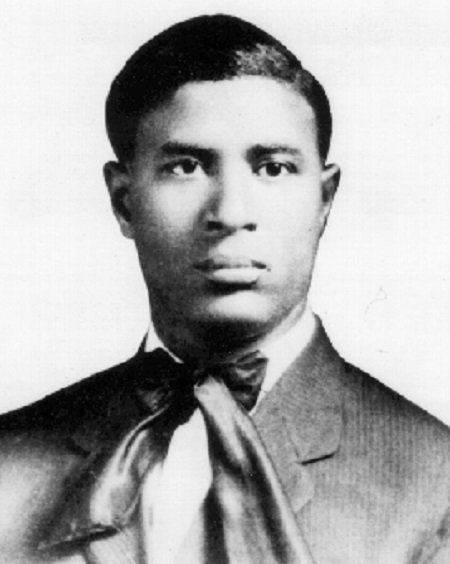 However, Garrett Morgan’s legacy is more far ­reaching than the benefits society has gained from his inventions. Morgan has become a role model for many people, especially African Americans. Despite an impoverished background, meager educational opportunities, and racial prejudice, Morgan became a successful businessman and inventor. Success did not come easily: for example, many orders for his gas mask were cancelled once business owners found out he was an African American. It is said that he even had to pretend he was an Indian assistant while a white man demonstrated how the gas mask worked to potential buyers. His creative mind and diligence, however, did not allow the prejudices to stop him from making his contributions. Once he became successful, Morgan continued to work to improve society for others. In 1916 he started a weekly newspaper, the Cleveland Call (now the Cleveland Call and Post), that was devoted to news about and for African Americans. Cincinnati and Columbus editions were added in 1950 and 1960, respectively.